After pruning and the resilience of my friends that look after the olive trees and harvest the olives, yesterday we got the new olive oil of this season. For those interested yield was a record high of 14% although the quantity was a record low of 444 kg due to extraordinary pruning and exceptionally dry summer. 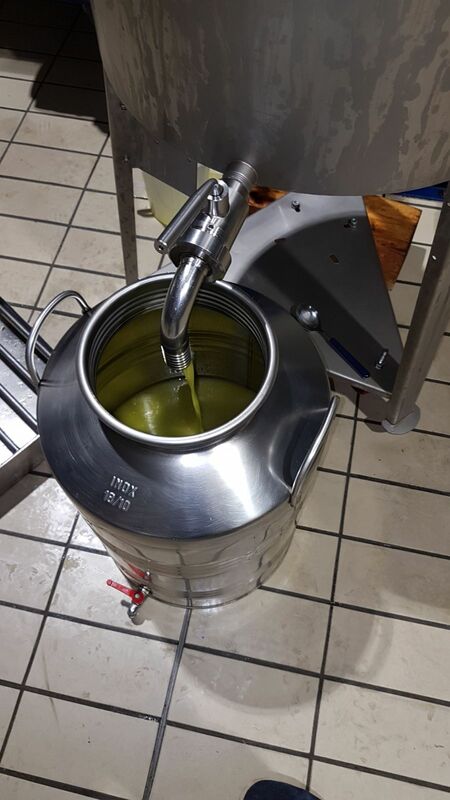 With 64 kg of olive oil there will still be enough to pamper the happy guests of our Sea Garden. Cheers!